Apple has begun the rollout of iBeacons in their retail stores, with the first appearing in the Fifth Avenue store in New York. Apple has updated their Apple Store app content for the iPhone and iPad to take advantage of the new iBeacon technology which will allow consumers to receive in-store notifications about products and any open orders, together with upgrade eligibility information and trade-in options. To take advantage of iBeacons you’ll need to have Bluetooth enabled and all the Apple Store app to have access to use it, as well as the iOS 7 Background App Refresh feature. That allows the App to update in the background and push notifications to your device based on information around your locale inside the Apple Store. The Fifth Avenue Apple Store played host to a group of journalists who experienced the new technology first hand. 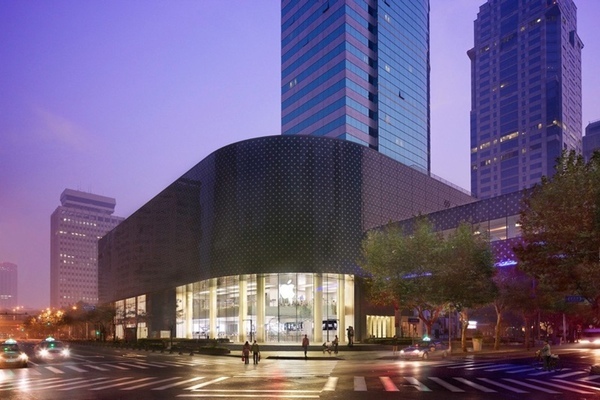 The store is said to have around 20 iBeacon transmitters installed, some of which are just iPhones and iPads. The iBeacons can be adjusted to very specific distances so notifications may be received regardless of where you are in Store. Other notifications may be sent to your device while you’re in a specific aisle or near a particular product demo. “We’ve placed wireless Bluetooth beacons throughout theApple Store,”You’ll receive notifications from us based on which beacon you’re near”. Apple has said it will start using iBeacons at its 254 U.S Stores and will include information about in-store pickups, store-specific events, and upgrade eligibility. Using the iBeacon feature, the app will notify you if the computer you ordered is ready to be picked up, for example. Show a clerk your screen with the order number, and the clerk will get it for you. Walking by an iPhone table? 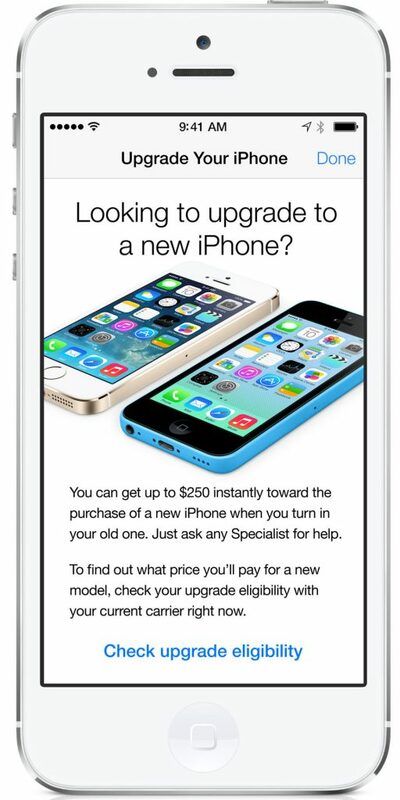 You may get a message asking if you want to upgrade, check your upgrade availability and see if you can get money for trading in your old phone. Let us know if you’ve had a chance to check out the iBeacon use in the comment section below.